If you are going swimming, you need to invest in top notch swimming goggles. These items will protect your eyes from being stung by the water as well as from dirt and debris that may be below the surface. Additionally, the right swimming goggles ensure that you can see everything underwater, which makes swimming and a family vacation that much more fun. Most swimming goggles are adjustable to the person's head. However, you should always double-check to see if these items are well-suited for adults or for children. Additionally, consider the size of the eye pieces of the goggles: You want them to be large enough for your eyes and for your nose. 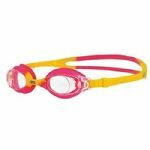 You can have a lot of fun when it comes to swimming goggles: They come in fun colors and designs. You could invest in items that are patterned with flowers or animals, or you could invest in those that are in neon colors. This is a way to really make swimming that much fun. Why not go underwater with a pair of brightly colored goggles? Lastly, consider the type of swimming you will do with these goggles. There are those meant for leisure, and there are some models built especially for diving and for competitive swimming events. 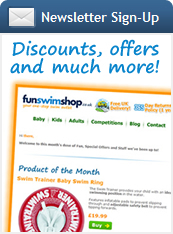 The right goggles will make specific types of swimming that much easier and more enjoyable. Really consider the type of swimming goggles you buy: The right model will last you for quite some time. Explore different colors, patterns, and sizes so that you have goggles that make swimming incredibly fun, relaxing, and comfortable!